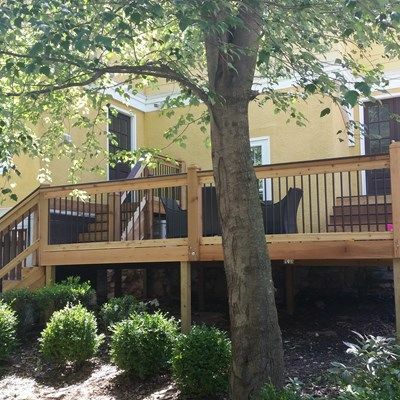 We expanded the existing deck to capture a second exterior door from the living room. 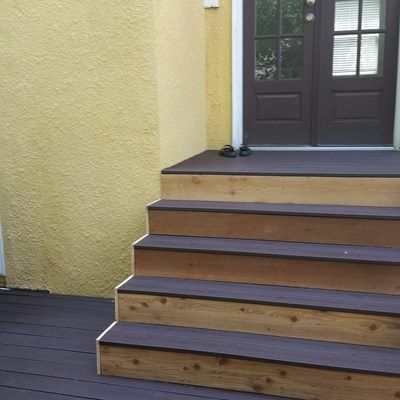 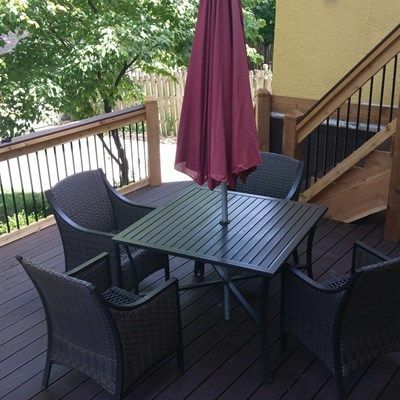 We removed existing cedar deck boards and replaced it with a trex composite. 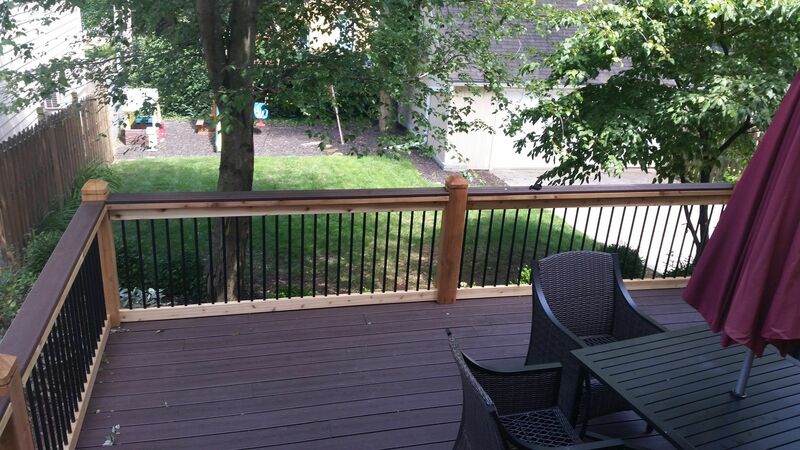 We installed a combination railing with trex composite deck boards and ceder posts and aluminum spindals.